How many times have you sat in class and understood EXACTLY what your teacher means when they explain a concept, only to get home and try it yourself and have NO CLUE what is going on? This is because, until you try something for yourself you really don’t know whether or not you really understand it. We believe the simple process of “learn-practice-assess” is the best way to progress in your knowledge. This is why we have been hard at work creating unique quizzes to help you test your knowledge while studying with Maths Online. 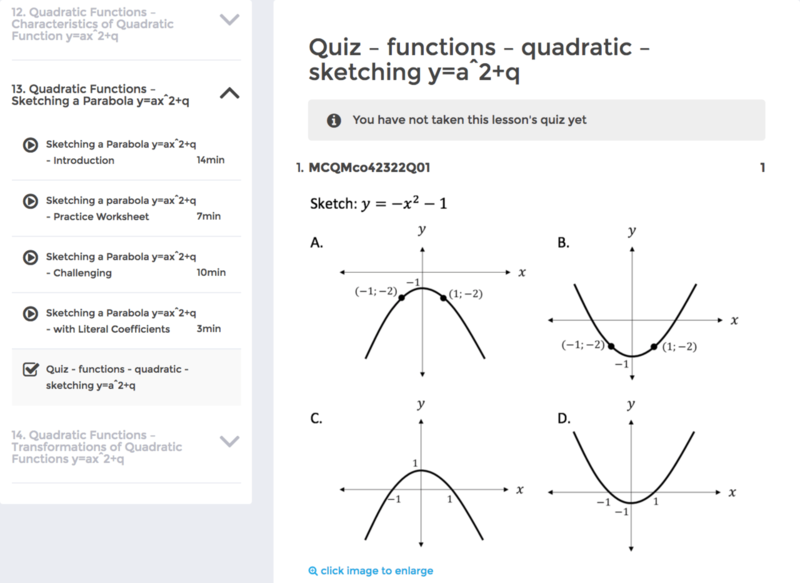 Soon we will have quizzes for every section of Maths Online. These quizzes are designed to test your knowledge of that section. It is a good idea to try these quizzes after you have watched the videos for that section. Every quiz question has a walk-through worked example solution helping you to understand how to answer the question if you didn’t get the right answer. Don’t forget! There is always our Live Chat where you can ask one of our teachers for help between 8.30am-5pm weekdays! We hope you continue to enjoy learning using Maths Online – we will keep you in the loop as we release new content. From all of the team, Happy Learning!